Rogart is easily accessible from Inverness by road. Driving north up the A9 and turn westward at the Mound along the A839 towards Rogart, takes around 1 hour. Filling station and garage in the village. Golspie track is near Little Ferry. 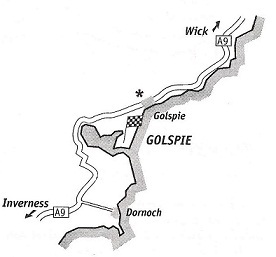 From the South, follow the A9 North to Golspie town. Just over the railway bridge, turn right onto an unclassified road to Little Ferry and the circuit is on the left half a mile past the golf clubhouse.